Has it really been over 2 months since my last blog post? I did say previously that I’ve been slowly losing momentum over the past year or so. As most bloggers can appreciate, my tendency is to blog in reaction to something that either upsets me or excites me. While there’s been a general lack of negative news (including ignorant things uttered by the public and journalists about incidents that only serve to further stigmatize postpartum mood and disorders, or PMADs), there’s also been a dearth of exciting new research, legislative and/or postpartum support services developments over the past couple of months to motivate me to put pen to paper—or fingers to keyboard. The former is good; the latter not so good. Well, I’ve taken up the virtual pen to write today’s blog post. It’s a blog post that will share the same title with numerous others (based on the support the For Miriam FB page has received in the past few days) who are banding together to spread awareness about PMADs. These blog posts are dedicated to Miriam Carey. Miriam. We know she was a mother. We know she had her one year old child in her car. We know that that child is now without a mother. We know from what has been shared by Miriam’s loved ones that she was being treated for postpartum psychosis. We know that medication was found in her Stamford, CT, home. We know she was using her vehicle in a way that caused law enforcement to, unfortunately, shoot to kill. We know (but far from like the fact) that they are trained to do that. Though, I’m not sure the one who shot her feels too good about what they had to do. This loss of life is, simply put, tragic….and the reason why my dear friend, Dr. Walker Karraa, decided to corral this blog carnival in Miriam’s name. Anyhow, without Miriam’s doctor coming forward and confirming the actual diagnosis, let’s just say that we are going to take this opportunity—since misinformation was once again so quick to be released to the public—to educate the public about PMADs. Postpartum depression (PPD), postpartum psychosis (PPP), and postpartum obsessive compulsive disorder are some of the PMADs that exist. They are real and they are treatable. Problem is, all too many mothers suffering such disorders are 1) failing to seek treatment for whatever reason, 2) seeking help but are either not getting the right treatment or are getting the right treatment but not staying on it long enough for it to become effective, and/or 3) not getting enough support during recovery. A lot of people have this tendency—a tendency that is in serious need of a reality check—to use PPD to generalize the spectrum of PMADs that exist. It does not help anyone to report in such a fashion as to fan the embers of stigma and myths that PMAD advocates are trying so desperately to put out. It definitely does NOT help when you have psychologists who are claiming that “postpartum depression has led mothers to kill their children.” We know we have a lot of work to do if a psychologist is saying things like this on a show watched by over 4 million people. Talk about taking 1 step forward and 2 gigantic leaps–not steps–backward. Geez Louise. Can’t the networks do a better job of finding true subject matter experts from organizations like Postpartum Support International (PSI)? They should have PSI on their list of subject matter experts under the category of Mental Health (or more aptly Maternal Mental Health). PSI should be the very FIRST place to consult with in times like this! I can’t say that absolutely nothing grates me more than major news agencies spreading misinformation, because I do have a couple things that grate me more….but I won’t get into that here. But I have to say that it angers me enough to want to do something. Since video/television opportunities are not something I actively seek—and I’m probably the last person anyone would ever call on anyway—the only thing I can do is lend my voice today, on World Mental Health Day 2013. Today, I join with other bloggers in a For Miriam blog carnival to try to increase the reach of getting our voices out there for the world to see. PPD is quite a common illness. It is experienced by one out of eight new mothers. 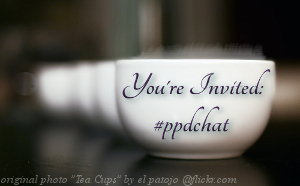 I am, in fact, a PPD survivor. Many of the For Miriam bloggers are PMAD survivors. 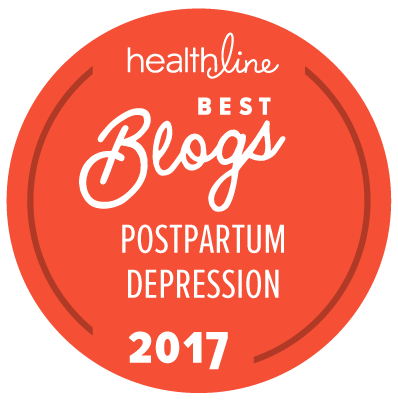 Many of us took up blogging to try to reach other moms suffering from a PMAD and making sure they don’t suffer as much and feel as alone as we did in our experiences. We don’t like it that there’s stigma. We don’t like it that there are unknown numbers of women who fail to seek treatment due to this stigma. And we definitely don’t like it when we hear about yet another PMAD-related tragedy. Granted, information is nowadays very accessible when you search on the Internet for information and blogs about PMADs. However, I still have yet to see posters and pamphlets in all the offices of medical health practitioners (i.e., general practitioners, OB/GYNs) in this country! Between misleading statements made by mental health care practitioners, like the psychologist interviewed for The Today Show, plus the lack of information proactively being given to the public, we still find ourselves stuck in a similar ignorance- and stigma-filled rut that we were stuck in 12 years ago after the Andrea Yates’ tragedy. I can’t say how disappointed and frustrated I really am. The good that’s stemming from this tragedy is the number of advocates speaking up and sharing their subject matter expertise on PMADs, specifically PPP. First, to join me in prayer for Miriam’s loved ones. Second, to go and read as many of the other For Miriam blog posts that you can find the time to do, and share them on Facebook and Twitter to help spread the word that we will NOT cease in our quest to banish the ignorance and stigma when it comes to maternal mental health matters. Third, if we see a mom who is in need of support, reach out to her. Ask her how she’s doing. If she had a baby within the past year, tell her about PSI. She just might benefit from speaking to someone on the PSI warm line or seek local PMAD resources. Remember that approximately one in eight new mothers will experience a PMAD. Our mothers matter. Our families matter. Do it for all the other moms out there who have suffered, are currently suffering, and may someday find themselves suffering from a PMAD.